On Monday night the Humans of Tuggeranong exhibition opened at the Tuggeranong Arts Centre. 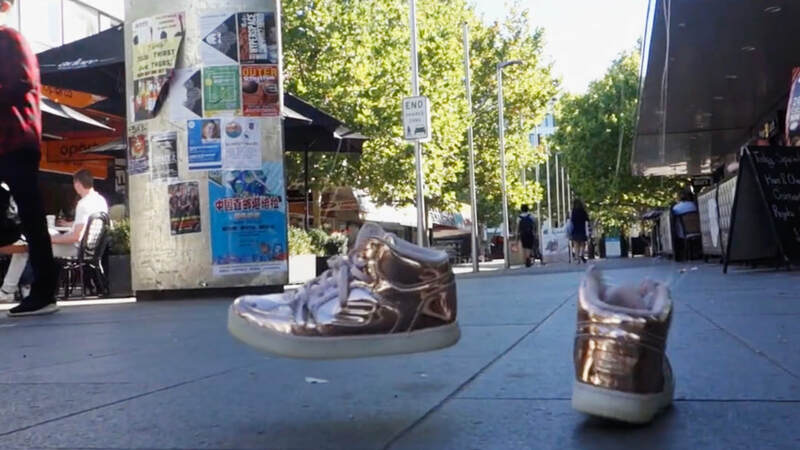 This exhibition featured photographs taken by three Lake Tuggeranong College students who are completing a double major in photography. Based on the Humans of New York project, this was an opportunity for the students to work with photography professionals and with their community by capturing personal stories . Rose Monkivitch, Jack Doyle and Josie Bevan were involved in a partnership with the YWCA Canberra clubhouse program for ACT Youth Week 2019. They participated in a two-day workshop with a photographer (and former LTC student) around interviewing subjects tactfully and to get deep answers, as well as around portrait photography and digital processing skills. Jack, Rose and Josie then interviewed and photographed members of the community, prepared their photographs and chose a quote from the interview to feature beneath their photo. At the opening, Rose gave a speech about what the impact of this process was for her and what she learned. The opening night was a wonderful celebration of these students’ achievements. The foyer was packed with friends, family and community members who commented on the quality of the photographers in bringing forth their subjects and the emotional depth of the quotes from the interviews. A special thank you to everyone involved from the YWAC, the Arts Centre and to Tiffany for putting this all together. 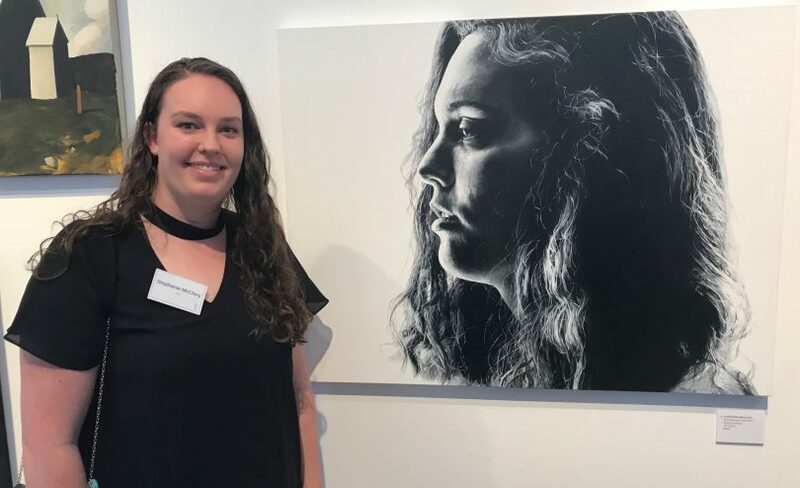 The results of this collaborative process are displayed in the foyer of the Tuggeranong Arts Centre until the 29thof April, so there is still plenty of time to drop in and see this exhibition if you didn’t make it to the opening night. Cheers to a successful Success Assembly! Lake Tuggeranong College began Week 10 by celebrating the successes of students across all faculties and year groups in the first Success Assembly of 2019. It was wonderful to see so many students succeeding in the Learn, Thrive and Connect spheres and being recognised by their teachers, peers and the community. Thank you to parents and community members who came along to support students. Our wonderful MCs; Ky, Taran and Joey. Photo taken by Delia Thompson. In addition to the awards, there were musical performances from students. The courtyard was buzzing with activity afterwards and during lunch, including table tennis and more live music. A chocolate egg hunt happened around the school on Wednesday. Students distributed [number of eggs] around the College and at lunch there was enthusiastic participation in the courtyard and College Life. Thanks to Colin and his student helpers for putting that event together! This week we also had the 2019 USA trip depart very early in the morning. We wish good luck and amazing adventures to those students and teachers and look forward to hearing the stories when they return. Happy Holidays and we look forward to seeing everyone back for Term 2! Lake Tuggeranong College is proud to announce arrangements celebrating the achievements of our graduating class of 2019 i.e. our Year 12 Graduation and our Year 12 Formal. A major change has been made regarding the timing of these events for this year. Historically, both events have been held on the same day: this year, they will be spread over two dates, a week apart. (More details on this was sent in a letter to parents and carers). These events are an opportunity for us all to celebrate the achievements of our students and to mark the end of an era (their school years). We sincerely hope you can join us in the celebrations. Eurobodalla Shire Council sponsored the prize and will acquire it for its collection. Huge congrats go out to Steph for this amazing achievement. Ananya Giridhar, Year 11 Media, for her short film “One small step behind” which received the under 18’s prize for Lights, Camera, Action. Ananya’s film titled one small step celebrated the 50th Anniversary of the Moon Landing, the televisation of which was relayed from the Honeysuckle Creek Tracking Station and is implicit in her film. The film now lives on Vimeo but was first screened at Enlighten. Well done Ananya! Applications for study in 2020 will open on Wednesday 3 April. Students will be able to apply for undergraduate and international as well as Schools Recommendation Schemes, Educational Access Schemes and Equity Scholarships. Although not all courses for 2020 will be available, we encourage students to choose one course to complete their application and come back later to review and change their preferences. All semester 1, 2020 courses will be available from August as per usual. Early bird and SRS applications will close at the end of September and offer rounds and other deadlines will remain the same as previous years. 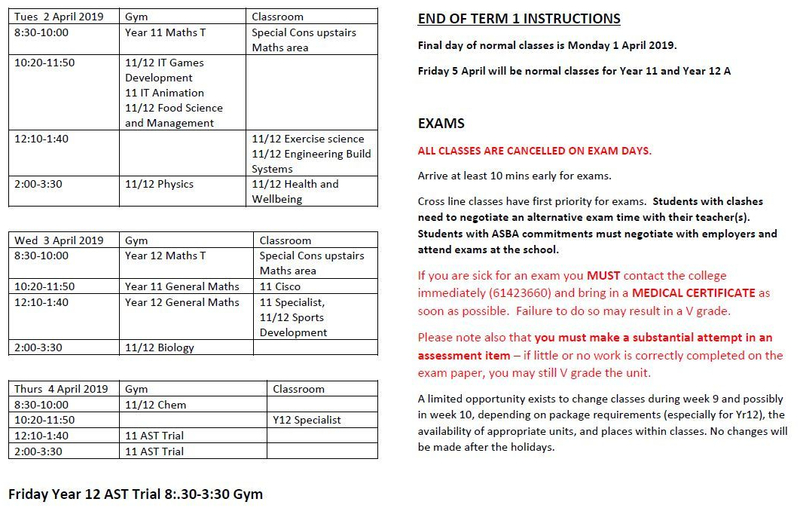 Dates will be available on UAC’s website from 3 April. For an up-close experience of university life, encourage your students to attend a uni open day. Dates for 2019 are available now. Fuller details are in your child’s email or on the Lake Tuggeranong College student Portal. Did someone say safe driving and money saving programs for students? 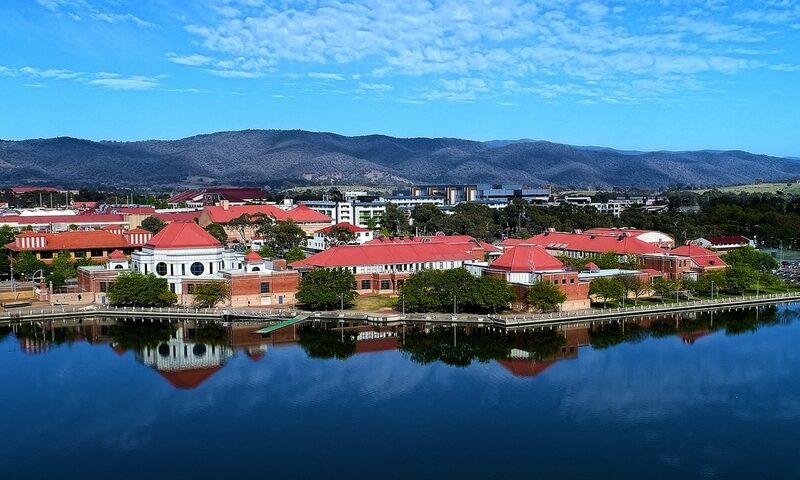 Lake Tuggeranong promotes programs that will add value to our students and our community. We encourage students to take part in programs that will build their skills, extend their knowledge and ready them for their future. Please see below for more info on ROAD READY to encourage safe driving and the SAVER PLUS initiative from the Smith Family on how you can save money on school related expenses. ACT’s Road Ready program is being delivered through CIT Yurauna to encourage safe driving amongst Aboriginal and Torres Strait Islander people. On successful completion of this course you will receive your certificate to obtain your ACT Learner Driver’s License. Attendance on all three days is compulsory for successful completion. Enrolments open 9:30am on Monday 25 March at CIT Yurauna. Please bring three forms of ID, including minimum one form of photo ID. Students will be enrolled into the unit – Investigate driving and owning a car (VU22410). Location: CIT Yurauna, F Block, CIT Reid. Cyber Taipan team takes 2nd Place at National Finals! Over the weekend 6 of our students competed in the National Finals for the first ever Cyber Taipan competition to be held in Australia. Our team, ‘Steve the Happy Rock’ (please ask them to explain this), had 4 hours to identify cyber security vulnerabilities in a set of virtual images that represented operating systems. They were scored on their ability to harden the systems while maintaining critical services. Their inclusion in the final 10 teams was based upon their performance in previous similar rounds. It is worth mentioning that 2 other Canberran teams made the Finals from Melba Copland and Lake G.
The team got off to a good start, pulling into the lead early in the first half of the competition. When they stopped for lunch, they were in 2nd place by only 6 points (167 to 161). The second half of the competition was blind, with the scores and rankings being hidden to build suspense. Later that evening, we reconvened (except for Roan) for a dinner and awards ceremony at Parliament House. Here, we finally discovered the outcome of the competition, discovering that Steve the Happy Rock had finished in 2nd place overall. The winning team was TSS (The Southport School) who had travelled in from the Gold Coast. After dinner, the students were able to mingle and were approached by many people, including representatives from the organising and sponsoring companies (Northrop Grumman, AustCyber, PWC, Blackberry and Woodside Energy). One of our students, Richard Fowler, was particularly well-spoken in his interactions with the representatives, with the representative from Woodside Energy stopping at the end of the evening to indicate that Richard had “great ideas”. AustCyber was also impressed with our students and has invited them to get in contact for linking up with further opportunities, including potential work experience placements later this year. CIT has also given them an invite to tour the new Cyber facilities at the Reid campus where the competition was held. Congratulations to Richard Fowler, Jeremy Green, Jayden Ahadizad, Roan Atkinson, Tim Herrmann and Saksit Wilamat on their awesome success. They have received a trophy, which will hopefully find its way to be displayed sometime soon. They also each individually received prizes that include vouchers for further training through PentesterLab. Congratulations to three of our students who were presented with scholarships in various areas at a special ceremony on the 7th of March. These scholarships will be used for their direct educational benefit during their final year of schooling. 4th annual LTC Library Literary Lunch: a roaring success! LTC Library’s annual Literary Lunch was held on Monday 29 October. Deliciously catered by Decadent (a local business), attendees were treated to a celebration of the written, spoken and sung word as never seen before. Toby Grundy, guest author and LTC staff member, took us on a rollicking ride through his career as a writer so far and the brutal underbelly that sat beneath! He shared with us his work as a graphic novelist and the challenges that came with that. Julie Murkins, our school principal, shared a heartfelt piece of prose that brought tears to the eyes about a visit to a dear place she calls home. Darlene Smith, another LTC staff member and first time Literary Lunch contributor, spoke of her passion for LTC with ‘Ode to Lake Tuggeranong College… and Market Day’! Taylah, Ben, and Eve from Toby’s Advanced Writing class tantalised us with opening paragraphs from their pieces of work: Let the beans fall where they may, Loosely based on my divorce, and Relapse. Shyrell sang with passion Can’t Help Falling in Love with You. ‘Danny’ and ‘Sandy’ (aka Ben and Tilly) gave us a sneak peek at LTC’s musical for 2018, Grease: The Musical, with the song Summer Lovin’! (Nov 14-17, tickets on sale now). The LTC Library team would like to thank all who participated in our event, and those who attended, to make this possibly the best Literary Lunch ever held! We look forward to repeating the fun again in 2019.